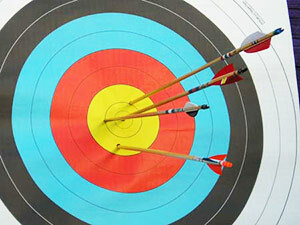 At D & G Archery Pro Shop archery is more than just our lively hood, it is a love and a hobby that became our business. We opened in 1989, and are proud to say that we are a local, family owned business. This means that we are able to offer a more personalized experience than corporately run chain shops. When you come to us, you will know that your service is not only top-of-the-line, but friendly. With a family oriented, personal approach and knowledgeable staff, we are capable of handling all of your archery needs, as well as some of your firearm needs! We would be happy to assist anyone interested in the sport of archery, whether you just want to work with targets, or are looking to take up bow hunting. We welcome novices and pros here at our shop, and look forward to answering your questions. For information and services you can trust, from a friendly and welcoming source, come to D & G Archery Pro Shop today! You won't be disappointed that you did. *Hours subject to change depending on time of year. It is always a good idea to call to double check if you are traveling a long way to get to us. All Archery Lessons are Appointment ONLY.